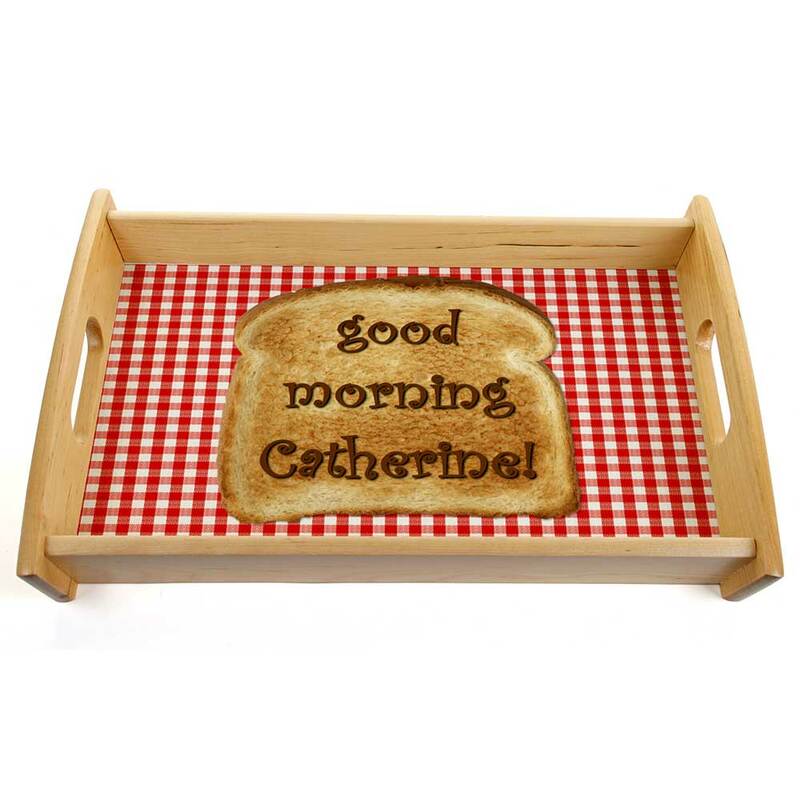 This personalised breakfast or serving tray is sure to be a hit and be cherished for many meals to come! Your recipient's first name is printed on the tray i.e. 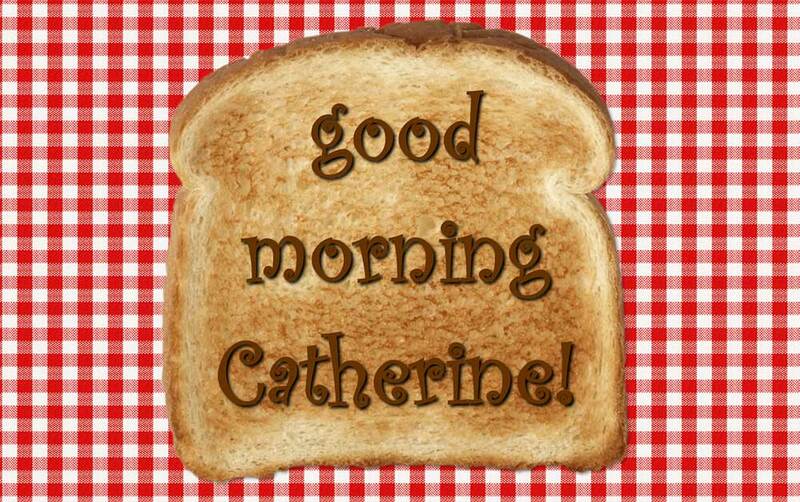 "Good Morning [FIRST NAME]". 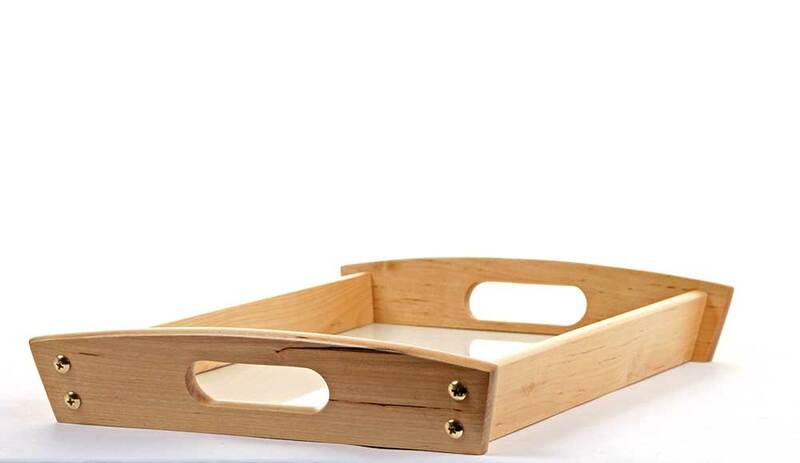 The tray size is approx 37cm (top length) x 23cm (top width) x 4cm (high).